Welcome to Washougal High School – Home of the Panthers! Washougal High School is a 9th-12th grade high school which provides a wide variety of quality academic, career and technical educational and extracurricular programs to meet the needs of all of our students. 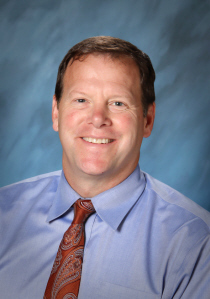 The Washougal High School staff strives to provide a safe, supportive, and challenging learning environment. We are committed to doing our best to ensure that every student graduates and leaves Washougal High School with the college and career ready skills that will lead to success in post-secondary education and the 21st century world of work that we live in. We want all of our students to have a variety of post high school opportunities because of their experiences, relationships and hard work developed at Washougal High School. As a staff, we are convinced that by working together in a collaborative manner focused on student learning and continuous improvement of our programs, we can successfully support each of our students. We also believe that it is crucial to have support from all stakeholders, which includes our parents and guardians. The support and feedback that WHS receives from staff, students, families and community members continues to assist us in providing a high quality educational experience for all of our students. Throughout the WHS website, you will learn more about our school and the many exciting programs and activities that are happening on the WHS/EHS campus. If you have any questions, comments, or would like to know how you can get involved in the education of our students, please feel free to give me a call at 360-954-3101.